If the affair at Sydney was absorbing, the contest at Adelaide was spectacular, then you had run out of words to describe the final frontier at the MCG. 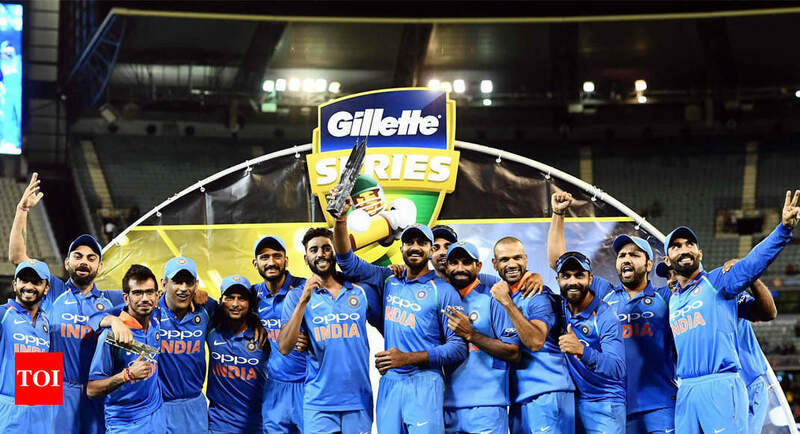 The Men in Blue who were one down in the series, staged a phenomenal comeback to register their first ever bilateral ODI series win Down Under. The Indian tour of Australia finally came to an end after almost two months of splendid cricketing action. Skipper Virat Kohli will be quite content with his team’s performances in the series. The problems run deep for Australia though who lost their sixth consecutive ODI series. With the World Cup just months away and no Steve Smith and David Warner, the defending champions seem totally unequipped. Australia is already languishing at the bottom of the ICC rankings in ODIs. Only Bangladesh, Sri Lanka, and Windies lie below them. Electing to bat first at Sydney, the Men in the retro Yellow kit lost both their openers early. That’s when the middle order comprising of Usman Khawaja and Shaun Marsh came to the rescue with crucial half centuries. Peter Handscomb who was making a comeback to the national side registered a fascinating knock of 73(61). Marcus Stoinis’ late charge guided Australia towards a significant total of 288/5 on the board. The Indian bowlers applied decent pressure throughout the innings but were taken away to the cleaners in the death overs. India was off to a poor start at 4/3 in just the fourth over of the innings. Rohit Sharma and MS Dhoni stood up and compiled a 137 run partnership. While Dhoni’s blockathon at the start allowed India to block the collapse, his innings turned out to be really slow by ODI standards. The likes of Dinesh Karthik and Ravindra Jadeja too failed to inspire much confidence. Rohit who stood as the lone warrior couldn’t withstand it all with required rate soaring high. The Australia pacers Jhye Richardson and Jason Behrendorff were absolutely phenomenal accounting for six wickets and conceding just 65 runs between them. Aaron Finch’s misery in the series continued to haunt the Australians at the top order. Alex Carey and Usman Khawaja too failed to do anything special with the bat. It was Shaun Marsh who stood tall against the Indian bowlers. The 35-year-old smashed his fourth ton in 9 games as his knock overpowered the hosts to a total near 300. Glenn Maxwell too provided a finishing touch as Australia posted 298. The pacers duo of Bhuvneshwar Kumar and Mohammed Shami picked seven wickets. India was off to a decent start. Skipper Virat Kohli who walked to the crease in the eighth over was aware of his responsibility. While the likes of Dhawan, Rohit, and Rayudu couldn’t prolong their stay at the crease, Kohli led from the front as he scored a magnificent hundred. MS Dhoni held the innings from one end as both complemented each other really well. 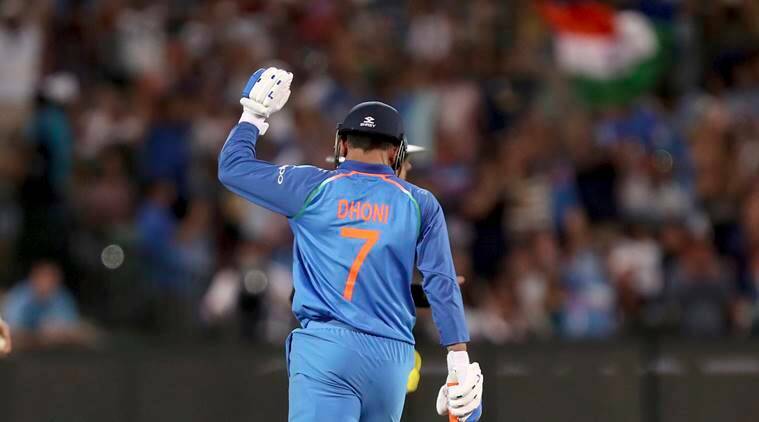 While the timing of his dismissal shifted the momentum to the Aussies, Dinesh Karthik’s quickfire cameo and a Dhoni six in the final over ensured India chased the target with four balls to spare. For the third consecutive time in the series, India went on to bowl first. The pitch at MCG wasn’t a great deck for the batsmen. Both the openers continued to disappoint as the middle order again took the initiative to make things right. 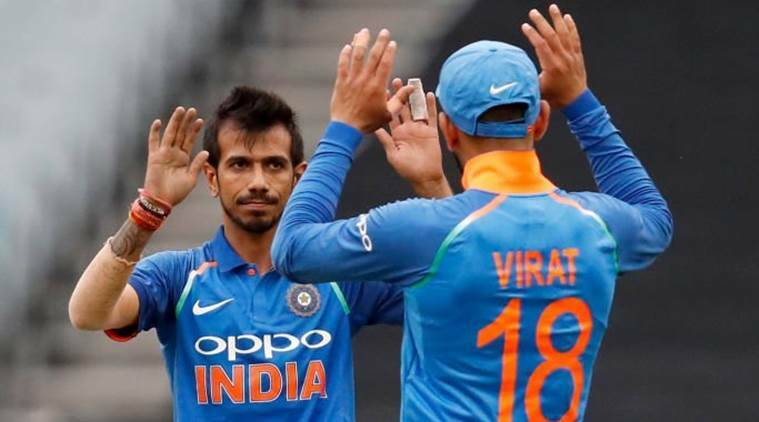 After a good 73 run stand between Marsh and Khawaja, Yuzvendra Chahal sent both of them back to the pavilion in a space of four balls. The 28-year-old continued to bamboozle the Australian batting with his leg spin as they were bundled for 230. Chahal registered career-best figures of 6/42 in his first game of the Australian tour. As for India, Rohit went back to the pavilion early while Dhawan too failed to get going. Virat Kohli fell short of his fifty as India required 118 runs more. A calm and composed MS Dhoni and a reliable Kedhar Jadhav handled the mantle at the middle. Both put up an unbeaten 121 run partnership as they took India to victory in the final over. Dhoni paced his innings well as he began slow but managed to cover it up in the end. He allowed Kedhar to take the finishing honors as India won by 7 wickets. Throughout the series, not a single team managed to register a total of 300. The likes of Bhuvi, Richardson managed to top the bowling charts for their respective teams. Shaun Marsh continued his fascinating form and finished the series as the highest run scorer. MS Dhoni who was being written off in the limited overs format hit back at his detractors. The wicketkeeper-batsman scored three consecutive half-centuries and won the man of the series as well. With the World Cup just a few months away, all the teams have been hellbent in their preparations. India will play ten more One Day games while Australia will be touring India during February end for a limited overs series. The Men in Blue will be more or less the same squad with the team doing fine in all departments. As for Australia, it’s still a work in progress and seems to be heading nowhere. What Could Be India’s Perfect Batting Order In ODI?